Hollywood producer Arnon Milvhan reportedly attempted to promote a free trade zone on the Israel-Jordan border as part of his partnership with Tata. Tata, 80, has contested the allegations in a statement here: "The reports in the media of a 'partnership with Arnon Milchan' and the claim of ‘a huge profit' are both factually incorrect and appear to be motivated." 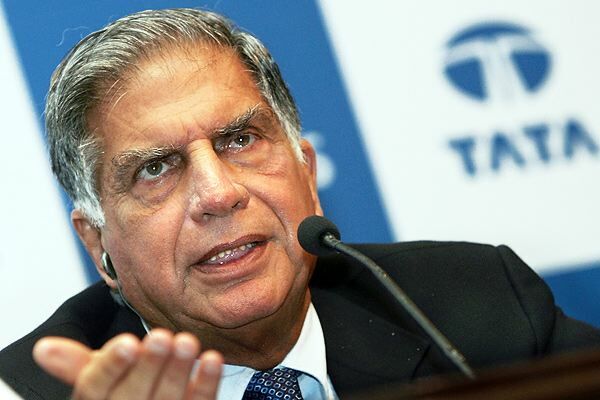 The former Chairman of Tata Sons, the salt-to-software conglomerate, added that the ‘Tata project' being referred to in the Israeli media was a proposal received by Tata in 2009 from the Israeli establishment. It sought the assistance of Tata organisation in preparing a concept plan, as part of a broader peace initiative with Palestine, for a low volume automotive assembly plant on the banks of the Jordan river, said the Tata statement. The intention was to provide skilled employment to Palestinians. To be viable, the plan envisaged the establishment of a free trade corridor to Haifa to facilitate exports and offset higher logistics costs in Israel. A broad concept plan for a low output automobile assembly plant was prepared by Tata Motors. It never reached the stage of detailed planning or costing as the peace initiative itself was not put in place. The car project died a natural death. During Tata's visit to Tel Aviv on November 1, 2017 to address a conference on Mobility, he met a team of Israeli investigators at their request and enunciated these facts to them.